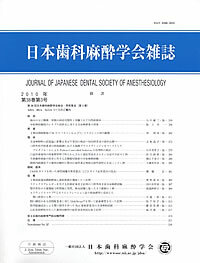 Journal of Japanese Dental Society of Anesthesiology publishes papers reporting clinical and basic interdisciplinary investigations of anesthesiology for dental practice and oral surgery. Dental Anesthesiology is a true specialty for human health care relating to dentistry and oral surgery. The journal contains original articles, clinical reports, short communications, and some solicited review articles. All research papers are peer-reviewed by the committee members and by reviewers. Only those which have been accepted for publication through the peer-review process appear in the journal. 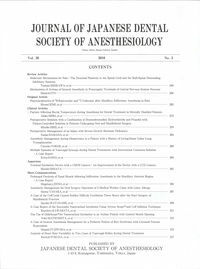 The journal welcomes research in all areas relevant to dental anesthesiology from any healthcare professional.